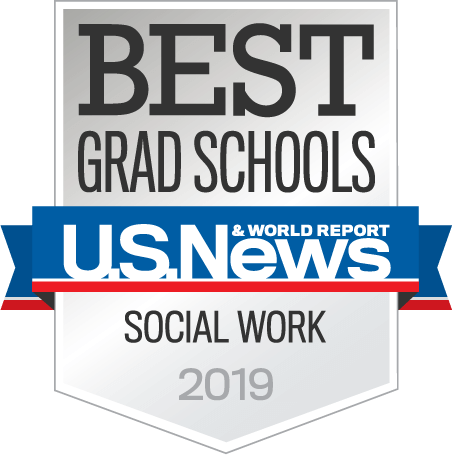 Our professors are skilled practitioners, educators, and researchers who mentor students to become effective, ethical, and committed social work professionals. Our faculty and staff are eager to connect with each student as a person, and our team strives to be accessible and responsive as students navigate their exciting and rigorous pathways as scholars. 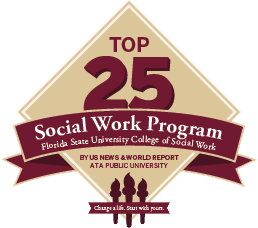 As the oldest program in Florida and one of the first programs in the Southeast, we are well established as a center of social work practice, policy, and research. 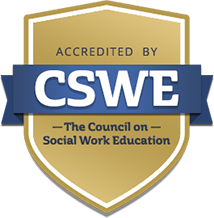 Importantly, we are accredited by the Council on Social Work Education, which opens up a world of opportunities for students charting successful careers in one of America’s fastest-growing professions. Our graduates are respected leaders in government, international NGOs, and other domains of public service who are making crucial impacts on social policy across the nation and the world. They are practice and organizational leaders in the fields of health and behavioral health, child welfare, schools, criminal justice, gerontology, social justice, community development, law, business, and higher education — just to name a few. Alumni are also changing lives as they work as clinical social workers who serve children, adolescents, adults, and families with approaches promoting well-being, dignity, and liberty. The College recruits one of the most diverse student cohorts on FSU’s campus. This gives each student the opportunity to learn from colleagues who bring amazing professional experiences and life histories to our classrooms and field placements. Our professors and students embrace the robust conversations and intellectual adventures that cultural and social diversity bring. I invite you to explore this website to read about our research institutes, online and off-campus programs, international programs, field opportunities, certificates and joint degree offerings, and faculty accomplishments. We are very proud to have you join our outstanding professors, staff, alumni, community partners, and scholars!